IQS Directory implements a thorough list of clear zip lock bag manufacturers and suppliers. Utilize our listing to examine and sort top zip lock bag manufacturers with previews of ads and detailed descriptions of each product. Any zip lock bag company can design, engineer, and manufacture zip lock bag to meet your companies specific qualifications. 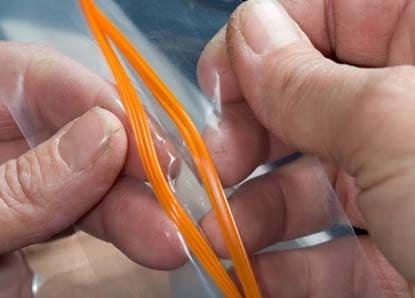 An easy connection to reach zip lock bag companies through our fast request for quote form is provided on our website. The company information includes website links, company profile, locations, phone, product videos and product information. Customer reviews are available and product specific news articles. This source is right for you whether it's for a manufacturer of clear gusset zip lock bags, custom zip lock bags, and waterproof zip lock bags. Here at Multi-Pak USA, we think and know that our zip lock bags are the best of the best. Not only do we provide a great product that meets and exceeds our customers’ expectations, we, as a company strive to live by our mission statement and do business with integrity, respect and good character. Find out more about our zip lock bags and visit our website today. We manufacture zip lock bags that can have a variety of features such as hang-hole and tamper-evident options. 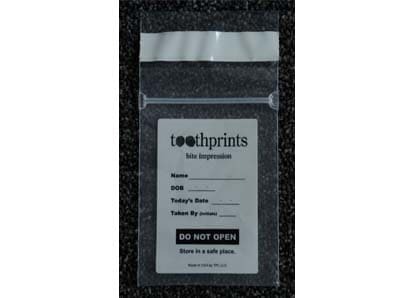 Our stock zipper bags are very affordable and we can print graphics to make these items completely customizable. Our company is eager to find “green” solutions that will not only save you money but also save the earth as well. To get started down the path of custom plastic solutions please visit our website or give us a call today! At Champion Plastics, we have the capabilities and the expertise to ensure that you acquire the zip lock resealable bags that best suits your needs. Our zip lock plastic bags meets FDA standards, are made with 100% prime virgin resins, and we are ISO 9001:2008 certified. Our team of designers will be ready to assist you in custom sizing if necessary. Visit our website to learn more about our capabilities! Dyer Packaging is your premier source for stock and custom printed reclosable plastic bags. Order securely from our extensive online stock product catalog or request a fast, custom quote from our flexible packaging experts. Our domestic and international supply chain network ensures wholesale pricing, volume discounts and fast shipping on a full-line of zip top and slider resealable bags. Visit our website for more details or call for more information. PPC Flexible Packaging provides industry leading service, quality and value through creative flexible packaging solutions. We are dedicated to providing excellent quality in our products and also customer service. Our applications include, flexographic printing, laminations, laser perforation and scoring, graphic design, converting, product design, and tech assistance, cleanroom sterilizable packing, and specialty pouch making. Rutan is ready to assist in choosing the best size, gauge and style for your specific zip lock bags application. Check out all this expert manufacturer’s specialties, including bags on a roll or coreless rolls, sequential numbering & bar coding, adhesive tape, security bags, reinforced headers, wicketed, hang holes, printed, tinted or colored film, mailer bags, zipper style & much more! We offer a variety of zip lock bag solutions. These products are extremely durable and can last for one time or continuous use. Our company was originally created for blow-molding and plastic extruded products but we have since perfected our engineering techniques to include manufacturing plastic bags. We have many years of experience resulting in our expertise in creating zip lock bags. Family-owned for over 75 years, we've been known for our outstanding customer service, a reputation we've earned by always treating customers the way we would like to be treated. At Associated Bag, we specialize in top-quality and hard-to-find packaging, shipping, and workplace products. You name it - bags, boxes, tape, bubble, stretch wrap, safety supplies, office supplies, medical, and lockout and tagout products...we have what you need, when you need it. Contact us today! Thanks to increased security threats, many public areas are increasing their security measures. One of the biggest changes that many sports arenas and other public events are making is the necessity of restricting bags brought into public arenas. Rather than allowing guests to bring in bags and purses, these companies are now expecting visitors to house their personal items in zip lock bags or other approved containers. Bags must be clear to view the contents, or small enough to fit approved size requirements. Basically, the new regulations are hoped to reduce security threats and the possibility of concealed weapons or other dangerous items. This not only deters potential terrorists from targeting public locations, but it also makes it easier to search personal belongings and speeds up the entrance process at sporting events and other public events. At a time when plastic bags are shunned by more and more people, this is good news for plastic bag manufacturers. Hundreds of thousands of people attend sporting events each game. This means that millions of people will be required to use zip lock bags or other clear plastic bags to house their personal items during public events. This will benefit the plastic bag industry that has recently taken a huge hit due to environmental concerns. With the new regulations, both the safety of public events and the plastic bag industry will benefit greatly. Zip lock bags are plastic sacks or pouches that have an interlocking or slide lock closure mechanism. Such a device allows for a waterproof, airtight seal as is desired in many applications to further protect and better contain goods. Popular for home, office and industrial use, zip lock bags are manufactured and distributed by several recognizable companies as well as smaller brands providing accessible and affordable options for all plastic bag sealing needs. Food, archival, parts, shipping and storage industries are among the most fervent users of zip lock bags. To accommodate the many uses for zip lock or lock top bags, most manufacturers produce them in several different standardized sizes. Common domestic sizes include snack, sandwich, quart and gallon bags. Industrial bags are often much larger while other archival baggies are often very small. As a secure seal is essential, some bags have two different colored seams which are easily identified when open and become a different color when the closure is properly sealed. Common alternatives include the use of twist ties and heat-sealed or shrink-wrapped bags. Twist ties are useful, but do not provide the durable and impermeable seal of the zipper lock. Heat-sealed or shrink-wrapped options create an effective seal, but are not reclosable or resealable bags as zip lock bags may be. Not all, but most zip lock bags are made to be resealed and even reused any number of times. Durable materials must therefore be used in the construction of both the bag and attached locking devices. Polypropylene and polyethylene are most frequently used for the film-like bag component. The plastic resin is melted until it becomes pliable or even to temperatures which produce a viscous fluid. Casting, winding, sheet or blown film extrusion may then be used. The seal is formed in a mold. Thicker, stronger plastic is used, though it may have a base material similar to that used for the film. A male track is fixed to one side of the opening of the bag while the female track is placed parallel on the adjacent edge. The tracks connect together like puzzle pieces when pressure is applied either manually or through the use of a plastic slider. The fastening capabilities vary among the many manufacturers of zip lock bags, but all require a significant tug to part the closure of a properly sealed bag. It is important to consider the durability of a seal as well as the plastic material used in overall bag construction to ensure the proper unit is used.